This is F1Minute - More penalties for Sébastien Buemi post-Germany. Sébastien Buemi started from the back of the grid in Germany, after being excluded from qualifying. He managed to make his way up to 15th place during the race, but it was not without incident. The Toro Rosso collided with Nick Heidfeld midway through, with the Renault bouncing off track and into the gravel, race over. The stewards investigated and after the race confirmed that Buemi will get a five-place grid penalty for wherever he qualifies next weekend in Hungary. 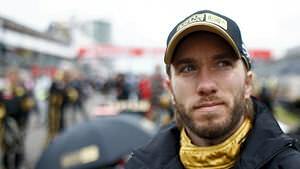 Heidfeld himself would have found himself penalised after he had a first lap incident with Force India driver Paul di Resta. The pair were knocked to the back of the field, and had to make their way through, which is why Heidfeld was near Buemi anyway. The stewards deemed it an avoidable accident, and gave the German a drive through penalty, but his race ended before he could serve it. On the cooldown lap, Fernando Alonso ran out of fuel and hopped on the side of Mark Webber’s Red Bull for a lift back to the podium. The stewards did not give out penalties for either of these misdemeanours.